Multicomponent phase diagrams and property diagrams can be obtained by a few clicks. 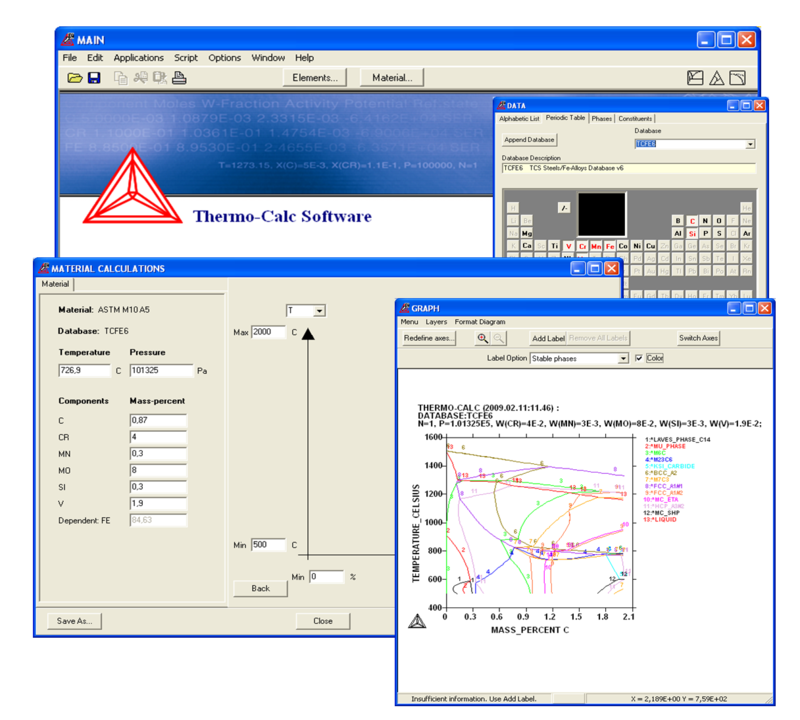 Read more detailed information in the Thermo-Calc Windows technical information and the examples. The calculations are based on thermodynamic data. The data is supplied in a wide selection of databases for various purposes and for many different materials and applications. The databases are produced by experts by evaluation of experimental data. TCW is available for Windows XP/Vista/7.